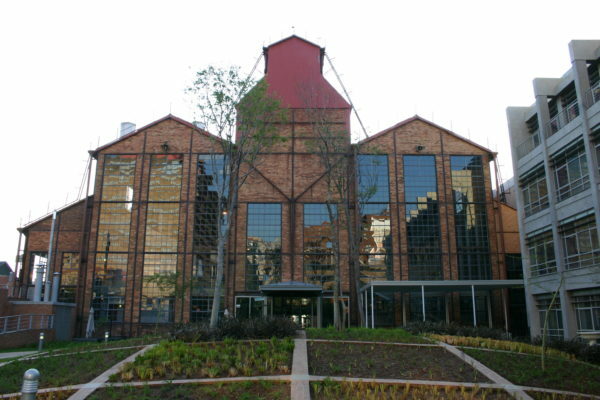 The Newtown Precinct in Johannesburg is rich in a history of biodiversity and culture, dating as far back as the 1880s. Now it’s the centre of progress and arts in the city of Gold, with new developments booming and a number of art galleries, museums, and theatres providing ample entertainment for visitors. Hop-on the Red Bus to visit the Newtown Precinct with City Sightseeing, the safest way to see Johannesburg. Once you’re on the bus, you’ll want to get off at Stop 15, with the SAB World of Beer on one side, and the Newtown Precinct on the other. 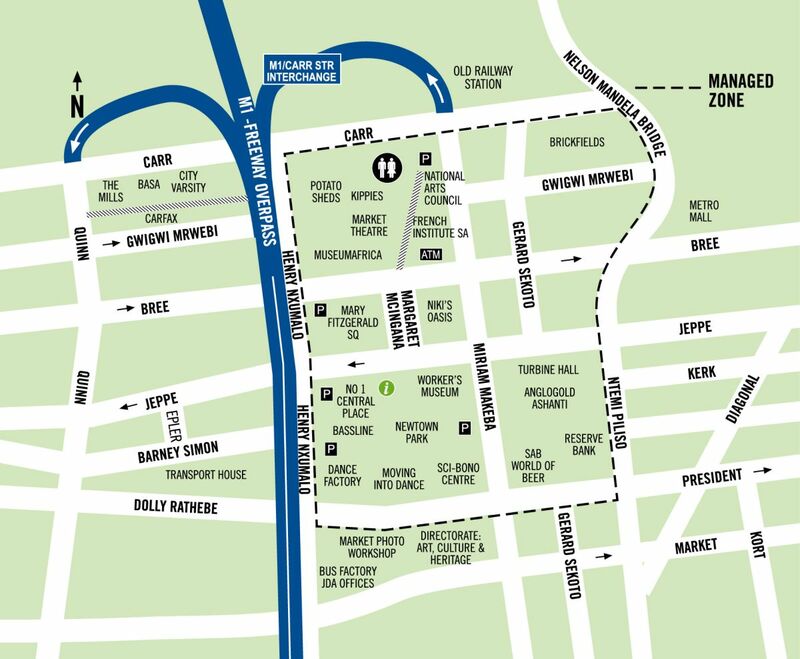 Here’s a map of the Precinct to get your bearings. First stop, the SAB World of Beer for a good drink and a tour of everything beer! 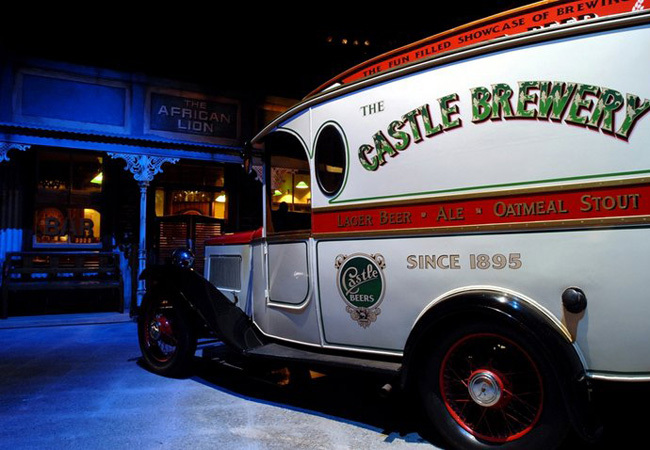 A guide will treat you to a tour of the history of beer, taking you back through the ages to when beer was first cultured, through to when beer was being brewed in South Africa, forming part of the country’s history. You’ll also be treated to a live demonstration of how it’s brewed, and given a complimentary beer glass, a halfway beer, and vouchers for the Tap Room. Red Bus ticket holders pay R125 per adult, with R200 for the tour and tasting package. Children’s tickets are R50 per child. Right across the road from the brewery is the Sci-Bono Centre! 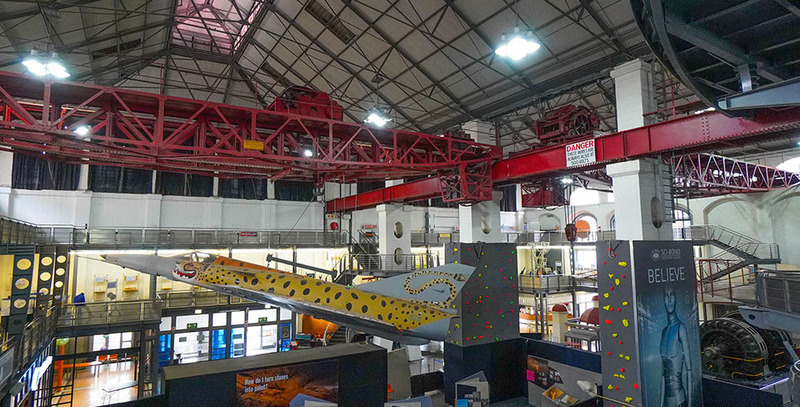 The Sci-Bono Centre is an interactive, fun science centre for children and adults alike, offering a tour of over 400 interactive exhibits. Some of which are also international travelling exhibits, such as the Wonders of Rock Art Lascaux Cave and Africa. Tickets are R48 per adult, R32 per child, and you can buy a family ticket for two adults and two kids for R140. Sci-Bono is a Non-Profit Organisation funded by varying science institutes and the Gauteng Department of Education. The next stop is the pride of the Newtown District, Museum Africa. This imposing building, once a fruit and vegetable market from 1913, houses a vast collection of photographic history and equipment, taking you back through time to the very first cameras. The museum is also the custodian to other ancient relics, from Victorian carriages to African tribal masks. Visitors are taken on a journey through Africa’s past to the glory days when the first nations ruled. From the times of Kemet (now known as Egypt), Kush (Sudan) and Punt (Somalia). With a vast collection of rock art and African artefacts, visitors will get a unique insight into ancient African cultures. 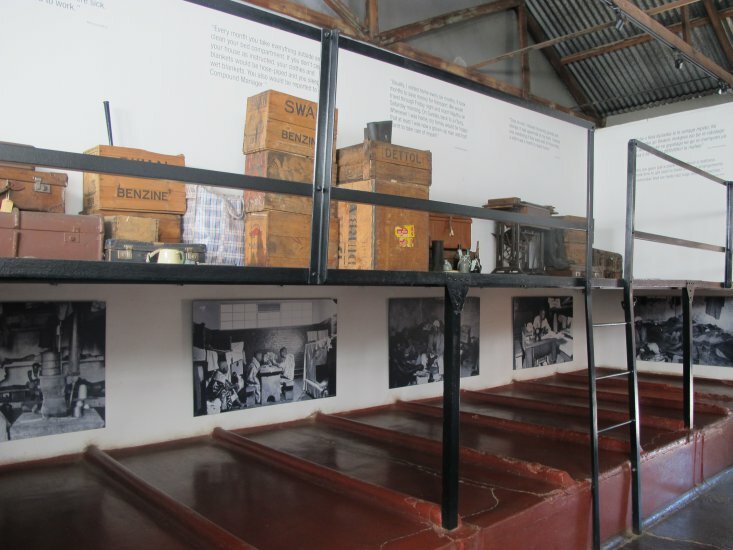 In addition, the Workers Museum is joined to the Museum of Africa. This will be your next stop on the tour of Newtown! Across the way is also the Turbine Hall, which we encourage everyone to visit to see. The hall is now an event venue and art gallery but still retains all its vintage architecture. Next up, a trip through migrant history at the Workers Museum. The Newtown Precinct was once filled with factories, warehouses and the Power Station that is now the famous Turbine Hall. There was a community of workers who lived in the district, a diverse community of every race. But their housing was in stark contrast to one another. The power station workers were segregated by colour; while white skilled workers lived in houses, non-white workers lived in hostels, squeezed together in rooms with no privacy. These power station houses and hostels are still on display today, a testament to the segregation and racism of the past. It’s a humbling experience walking through the rooms and bathrooms these men once lived in, working to feed their families far away. This is only a fraction of what there is to see in the bustling Newtown Precinct. 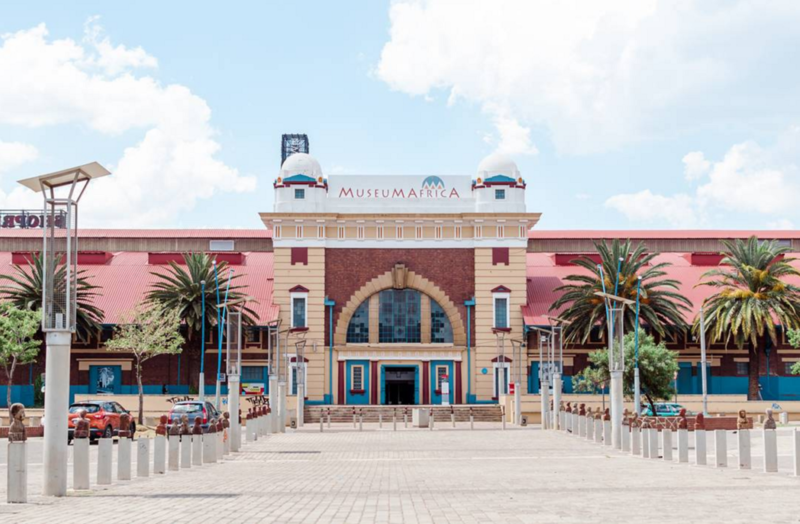 Visit the numerous clubs and restaurants in the area, as well as the famous Market Theatre in its ancient Victorian building, hosting internationally and nationally renowned artistic performances. The area is colourful, lively, and full of opportunity. Book your ticket online to skip the queues and hop straight on the bus from any of the City Tour stops. Check out our timetable to make sure you’ll never miss your bus! Feel free to contact us for any enquiries you may have.